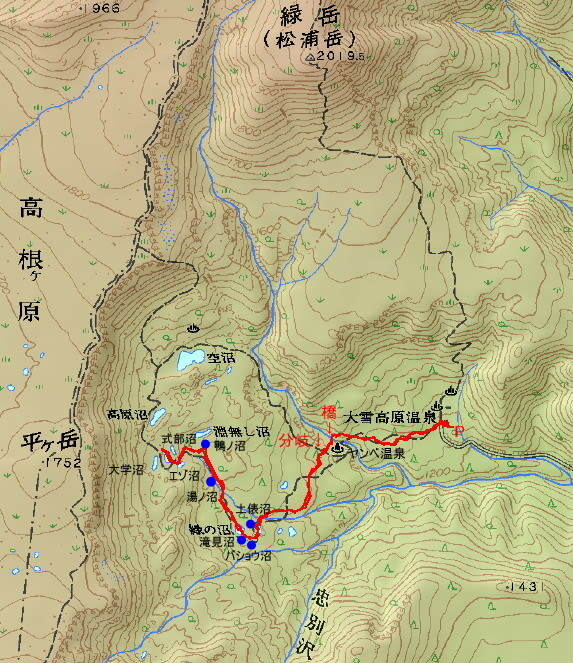 In Daisetukogeonsen（大雪高原温泉）,there are trailheads of Mt.Midoridake and Daisetsu plateau swamp. In the foliage season, it is a place where many tourists and hikers visit. Because cars come and go in the narrow dirt road, you drive carefully. The trail well-groomed extends around Daisetsu plateau swamp. and 35mins for the return tirp.